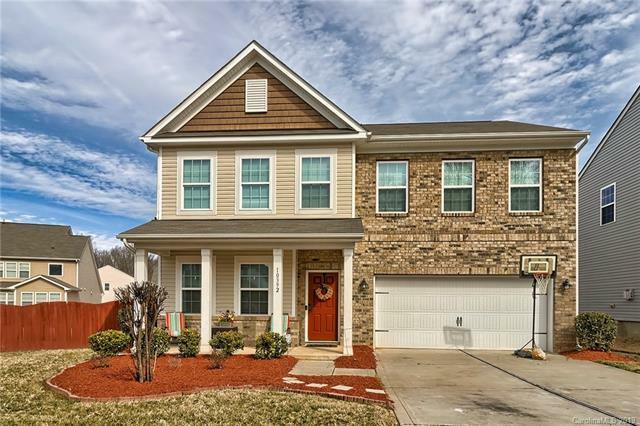 Beautifully Maintained Home in a Fantastic Location - minutes to I-85/485 & I-77, close to shopping, malls, parks, golf courses, schools and much more. Hardwood floors thru first floor. Gourmet Kitchen offer granite, tile back splash on diagonal, Island/pantry/ GE clean stainless steel appliances. The Kitchen opens to Great Room with an angled gas fireplace and lots of windows overlooking the yard. The Dining Room would make a wonderful office or playroom too. Off-set Stairs leads to the 2nd level with a loft, 3 secondary bedrooms offering large closets and share a double sink bath, a laundry room and spacious owners' retreat with walk-in closet, private bath, double sink vanity and over-sized soaking tub. The Yard is fenced and is one of the biggest yards in the community. Sold by Bipin Parekh Realty, Llc.